The XXII Olympic Winter Games in Sochi, Russia are set to begin on February 7, 2014. The Olympic games are one of the biggest sporting events in the world, where thousands get together and watch phenomenal athletes compete for their countries and give all they have for a gold medal. During the games, we see athletes break records and countries coming together to cheer for their countrymen. Unfortunately, not all is joy and friendly competition during the Olympics. Throughout the course of time, we have seen different types of controversies before and during the Olympics. These manifestations or protests are caused by different groups’ opposition to the games due to religious or political factors. The most violent act of terrorism that we have seeing during the Olympics was in the 1972 Summer Olympics in Munich, West Germany. 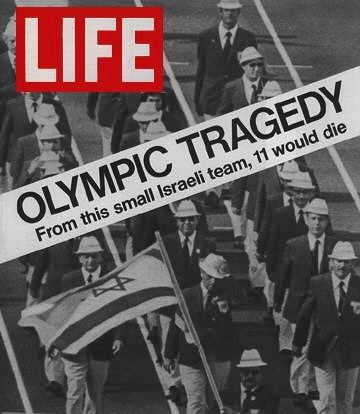 On September 4 of 1972, a Palestinian group called Black September snuck into the Olympic village and held hostage eleven members of the Israeli Olympic team, who were eventually killed at gunpoint. Now in 2014, almost 42 years later after the Munich Massacre, we are seeing a large amount of controversy involving acts of terrorism around the Sochi winter Olympics. An Islamic militant group in Russia is threatening Russian president, Vladimir Putin, telling him that if he proceeds with the winter games, they will give him and tourists a present, referring to suicide bombings. Russia is doing all they can to protect the citizens, tourists, athletes and the Olympics as a whole. Dressed in all black, security guards are already patrolling the Olympic park and village. Russian authorities are also looking for a female suspect under the name of Ruzana Ibragimova, a 22-year-old widow, who is believed to be a suicide bomber. The authorities believe that Ibragimova has already made her way inside Russia. Security forces are also trying to hunt down three other female suicide bombers. The women known as the “black widows” are the widows of militants who were killed by Russian forces. Earlier this month, five countries’ national Olympic Committee received letters in which they stated that they were target for terrorist attacks. Even though Russian authorities have confirmed this as a hoax, US authorities are not going to take any chances. Even though President Obama will not be attending the winter Olympics due to Putin’s anti-gay laws, the US is sharing counter-terrorism intelligence with Russian Authorities. According to BBC Europe News, the US has also posted two warships offshore in the Black Sea as a precaution.